When a subsea earthquake generated a massive tsunami in 2004, thousands lost their lives and tens of thousands lost their livelihoods along the Khao Lak coast of Thailand. But today, sustainable tourism is well on the way to replacing – and enhancing – the lifestyles of some of the local people. By James Teo. 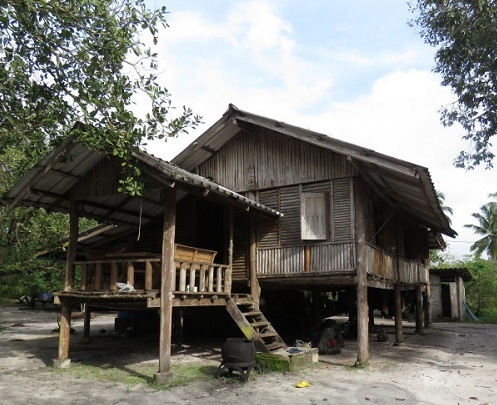 Thung Dap's homestay program has proved a massive and sustainable bonus to both visitors and villagers. Photo courtesy Andaman Discoveries. Boats, nets, transport, and especially people were all wrenched from close-nit communities with little else to fall back on. Hundreds of families woke to find they had lost their homes and means of income, and sometimes the breadwinner too. Most had no savings; almost all were reliant on a subsistence economy. Aid agencies supplied many with the immediate survival needs in following weeks and months, but once the basic needs of food and shelter had been addressed, villagers still needed to look to their future. Some aid agencies pushed the idea of replacing the centuries old sea-based harvesting lifestyles with newer, more contemporary tourism based activities as a way to rebuild quickly. Although the examples of nearby Phuket and Krabi showed that rapid regeneration could come from inviting big-dollar tourist developments, many of the inhabitants of smaller villages were worried that too much tourism would erode their culture and values, as well as potentially blight their undeveloped coastal region. Luckily for the village of Thung Dap, an aid agency called the North Andaman Tsunami Relief (NATR) was one of the first to offer serious help to tsunami-affected villages on Kho Phra Tong, where Thung Dap was situated. Instead of concentrating on only supplying cash, food relief and rebuilding infrastructure, NATR (which later renamed part of its work Andaman Discoveries) committed to fostering long-term social, economic, training, and environmental support. 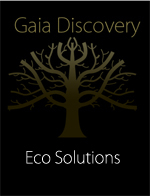 This approach was designed to create sustainable opportunities that would benefit the entire existing community. Weaving palm leaves into shapes is a traditional Moken skill. Photo courtesy Andaman Discoveries. Thung Dap villagers were encouraged to train as interpreters, as guides, as homestay hosts and as keepers of traditional skills that would be interesting for tourists that wanted sustainable tourism, not just hang by the pool. They realised that their everyday skills – such as net making, spear fishing, making squid traps, harvesting wild honey, searching for mangrove crabs, collecting edible oysters, dyeing batik, making “kanomjak” sweets and even weaving palm leaves into animal shapes and basic tin mining – were all of value if they could market them. “In the beginning a lot of people were scared and skeptical of our approach, but soon when people saw our successes they pitched in,” says Thamrong “Tui” Chomphusri, of Andaman Discoveries. 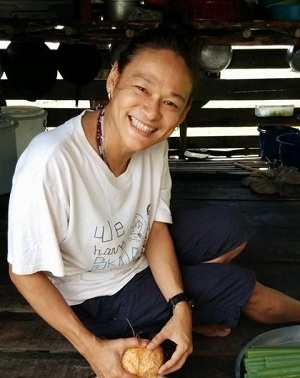 For example, homestay host Noi spent the first 24 years of her life as a sea nomad, living on a “kabang,” a floating home that local fisher-people live and work on as they catch, dry and sell fish. But now she is happy to share her knowledge of this unique way of life, and to explain how the local Moken people have been living this way for countless generations. The approach the people of Thung Dap have taken to sustainable development and tourism has also enabled the natural environment – mangroves, swamp and low-lying savannah regions – to survive intact without the significant impact of conventional tourist buildings, construction traffic, roads, car parks, pools and more. Today, visitors to the village can wander down narrow paths and see local wildlife right outside the back door, with sambar deer, rare seabirds and a wide range of flora including wild orchids all flourishing in a pristine environment. In fact the village’s approach has been so successful that some inhabitants who left soon after the tsunami hit have returned to help out. Thung Dap has been able to keep its way of life intact. Courtesy Andaman Discoveries. Villagers now say that “… as homestay [operators] we can make a 35% bigger income than before, and that helps support our families.” This also allows them to educate their children and lets them stay in the village, instead of leaving for jobs on the mainland. Indeed, the adoption of community-based tourism means visitors can now “fit into their lives, while not displacing their traditional lifestyles,” says Andaman Discoveries. Thung Dap’s approach has already won the village several awards, including National Geographic, Wild Asia, Thailand Tourism, and Virgin Holidays. Andaman Discoveries offers volunteer, study and homestay holidays at Thung Dap.